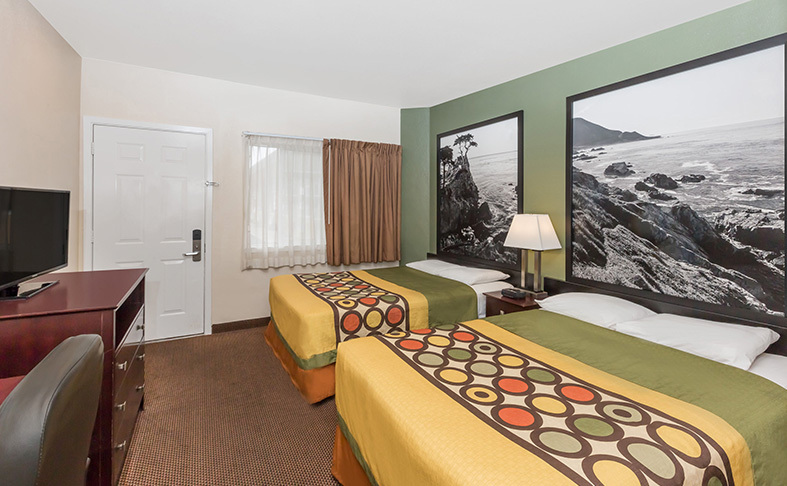 Super 8 Monterey offers comfortable rooms where it's easy to relax and recharge after a day of sightseeing on the California coast. 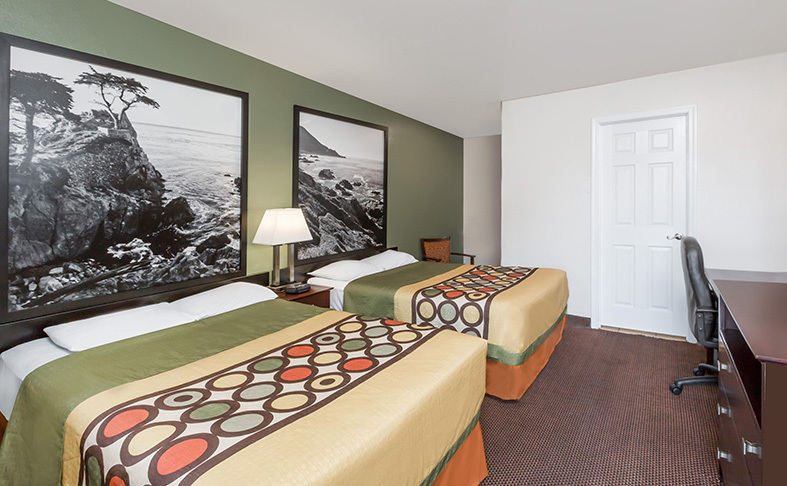 Modern furnishings, warm colors, and large photos of Monterey Bay and the coastline create a peaceful retreat for leisure and business travelers. Kick off the day with a free SuperStart continental breakfast each morning. Get a great's night sleep on comfy beds and plan your next adventure with free Wi-Fi. Grab a drink from the mini-fridge and enjoy 70 channels on the 32" flat-screen TV. 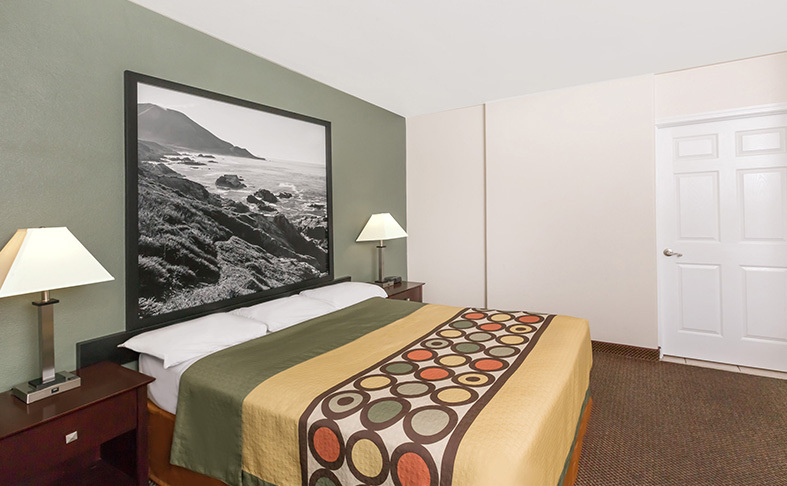 Feel at home just 2 miles from the Monterey Peninsula Airport and Downtown. Relax in this non-smoking room equipped with a queen bed and blackout drapes for a good night's rest. Enjoy the mini-fridge, coffee maker, free Wi-Fi, and 32" TV with cable. Enjoy a relaxing stay in this non-smoking room with 1 king bed and blackout drapes. Stay connected with free Wi-Fi and make use of the mini-fridge, coffee maker, and cable TV. Unwind in this non-smoking room with two comfortable double beds and blackout drapes for extra relaxation. Enjoy a convenient mini-fridge, free Wi-Fi, and cable TV. Relax in this non-smoking room with two queen beds, free Wi-Fi, and blackout drapes. 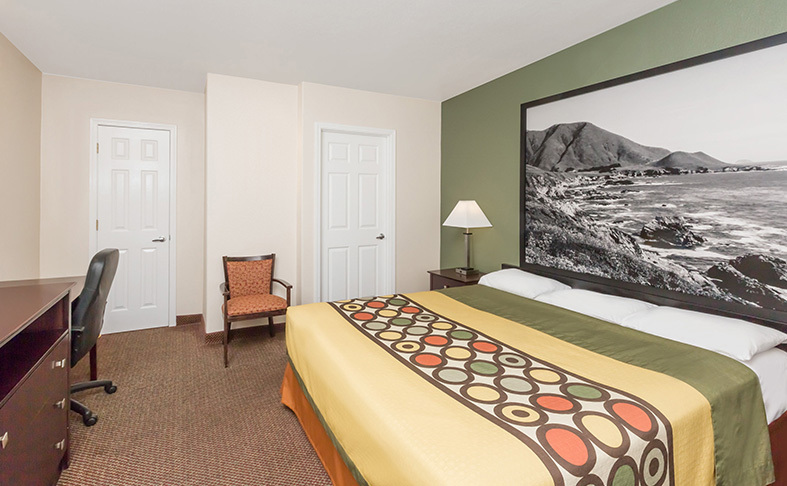 Enjoy a convenient getaway with a mini-fridge, coffee maker, microwave, and 32" cable TV.